Miniature sculptures are always popular due to the intricacy involved in their manufacture and their interaction with the world we live in. 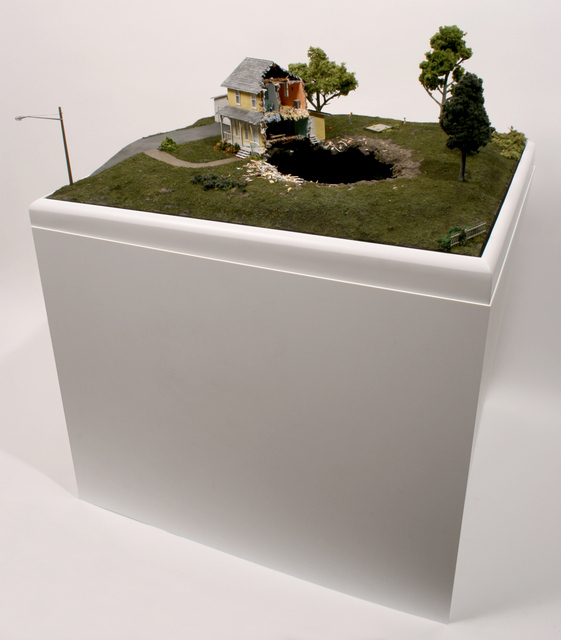 Cases in point are the street sculptures by Slinkachu and Marcus Crocker, which have been well received over recent years. Ronchini Gallery now puts on a group show of three New-York-based artists who all create miniature worlds, but each artist has their own signature style. 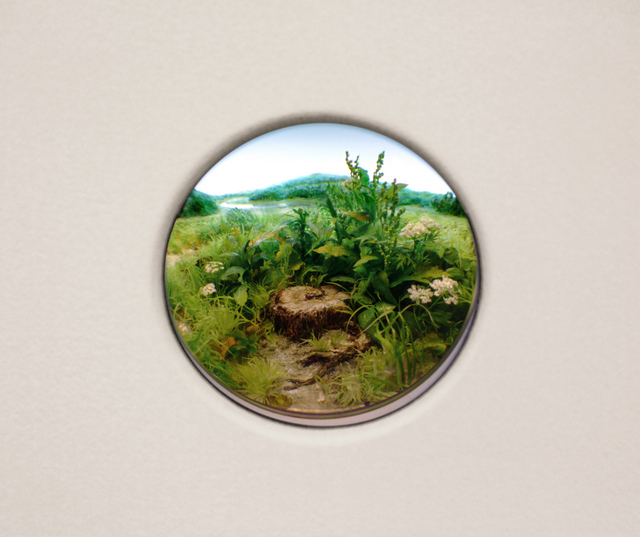 Patrick Jacobs has created a set of portholes in the gallery wall that look into an idyllic setting containing green grass and flowers. They have a voyeuristic feel that highlights the beauty of the natural world and how people in cities often feel distanced from this world. Adrien Broom's photographs are more playful, with tiny figures posed in surreal and often bizarre situations. 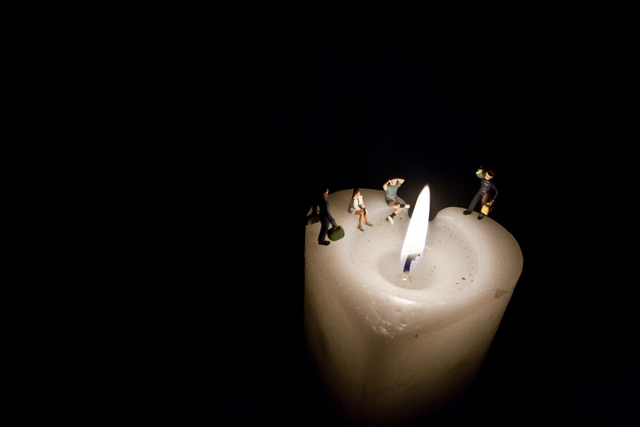 A group of miniature people sit on the lip of a candle as it burns, treating the flame as a warming camp fire. 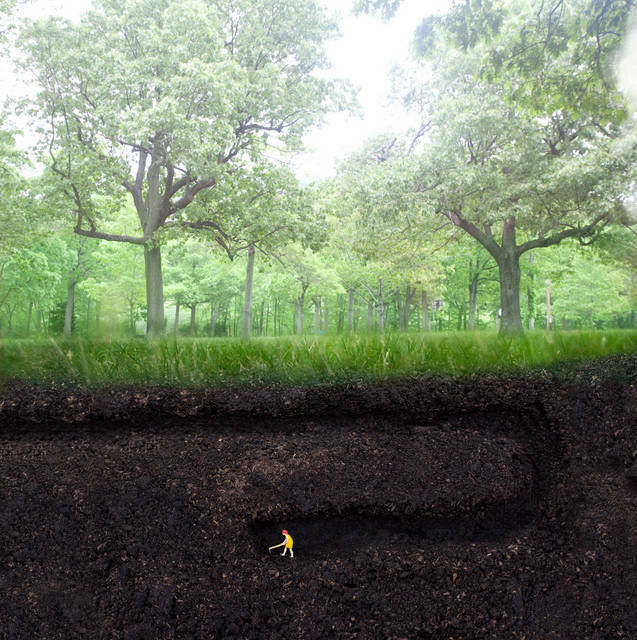 While a woman in a dress mines a tunnel under the forest floor with no suggestion as to what she could be looking for. Thomas Doyle completes the triumvirate. Arguably, his small-scale houses are the most impressive in the exhibition, with precise attention to detail and dark humour in each work. Houses collapse into sink holes and a father and daughter skip towards their house, yet it has no doors or windows. The home as a refuge is undermined, and to prevent access to it is to change someone's world, however miniature it may be. The works in this group exhibition are impressive in their execution and entertaining in their playful manipulation of microcosms. Miniature sculpture is an art genre on the ascendancy so this is likely to be a popular group show. 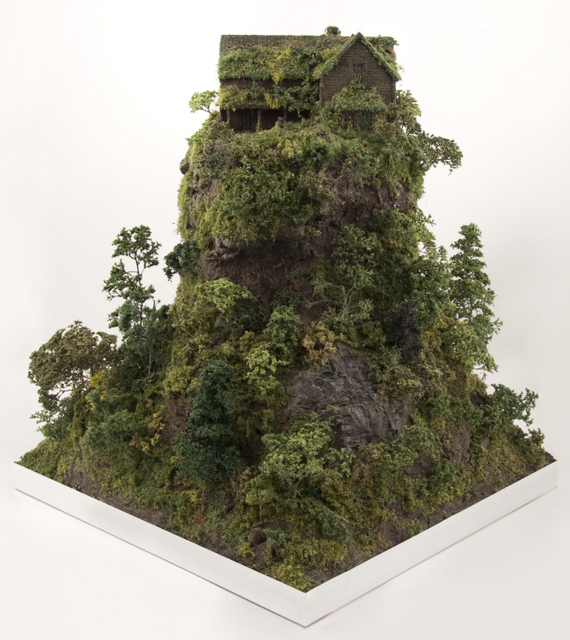 Dream No Small Dreams: The Miniature Worlds of Adrien Broom, Thomas Doyle & Patrick Jacobs is on at Ronchini Gallery, 22 Dering Street, W1S 1AN until 5 October. Admission is free.